We are delighted to have our new newsletter now available for you. We plan to produce a newsletter every two months, perhaps more frequently, depending on the valuable content to be published. Please view and/or download your newsletter by clicking here. To sign up for updates and to be automatically informed of future newsletters, please click here. Our newsletter brings you the latest news on activities in Afghanistan, related events, involvement by celebrities and key dignitaries, and resources that you can get involved with yourself. We are at over 9,000 signatures for our Mes Aynak petition. Please download the newsletter to learn more about this, and visit our web site to add your support. The U.N. culture agency and the Afghan government are against the reconstruction of one of two giant 1,500-year-old Buddha statues dynamited by the Taliban in central Afghanistan 10 years ago at this time, the agency’s assistant chief said. UNESCO Assistant Director-General for Culture Francesco Bandarin said the agency has asked for a feasibility study for reconstructing the smaller Buddha, which several German scientists have been promoting and will carry out. 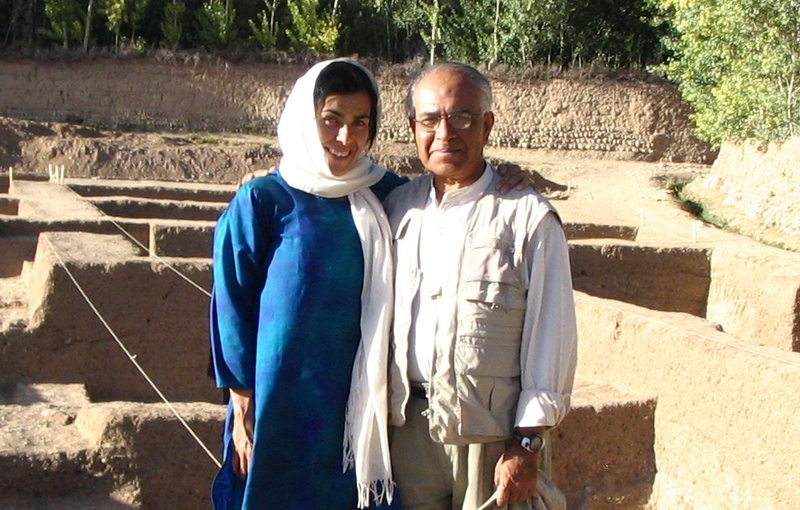 But Bandarin told a briefing Thursday that the study “doesn’t change our position on the reconstruction, which we think is not feasible” and would unnecessarily divert resources from other priorities at the UNESCO world heritage site in the Bamiyan Valley. 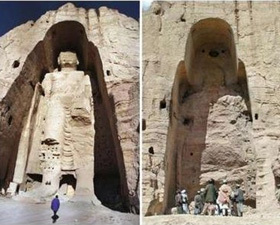 The two statues, standing 54 metres (60 yards) and 38 metres (40 yards) tall, were chiseled about 400 metres (435 yards) apart into a cliff face teeming with cave shrines and paintings about 1,500 years ago when Bamiyan was a major Buddhist centre. The Taliban dynamited the giant Buddhas in March 2001, deeming them idolatrous and anti-Muslim, prompting a worldwide outcry. Since the fall of the Taliban regime in November 2001, Bandarin said the niches where the Buddhas stood have been stabilized and 20-30 per cent of the giant Buddha and 40-50 per cent of the smaller Buddha have been recovered. At a meeting last week of the International Committee for Bamiyan at UNESCO’s Paris headquarters, Bandarin said there was “complete agreement” among the experts that it isn’t possible to reconstruct the great Buddha but there was disagreement on the smaller Buddha. 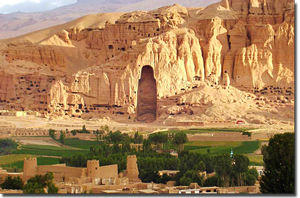 Bandarin said the vast Bamiyan site, which stretches for up to 15 kilometres (9 miles), is famous for the Buddhas, but it was for centuries the most important Buddhist centre on the entire Silk Road between China and the west and therefore it became an important monestary.